Protect the interior of your truck with one of the most modern floor liner designs on the market. The new Husky Chevy Silverado X-Act Contour Slush Style Floor Mats are made of a rubberized thermoplastic that is flexible yet keeps its original shape. They feature raised ribs that ensure fluids, soil and other debris remain trapped only on the surface of the mat. Each X-Act mat is fitted specifically for your Silverado and the existing factory hooks and fasteners will ensure a perfect fit. 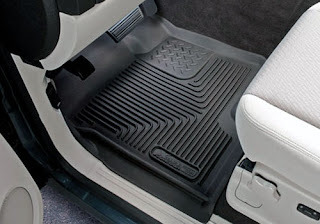 0 comments to "Silverado Floor Mats"
Copyright © Car Part Finders. All rights reserved.